John Lawrence Hammond, the son of a vicar, was born in 1872. Educated at Bradford Grammar School and Oxford University, he edited the Speaker journal between 1899 and 1906. After the First World War Hammond worked for the Manchester Guardian. 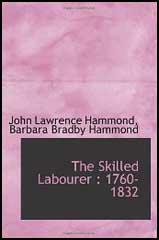 With his wife, Lucy Barbara Bradby (1873-1961), Hammond wrote three history books that looked at the impact of the industrial revolution on the working class: The Village Labourer (1911), The Town Labourer (1917) and The Skilled Labourer (1919). 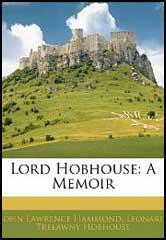 Other books included Lord Shaftesbury (1923), The Age of the Chartists (1930), C. P. Scott (1934) and Gladstone and the Irish Nation (1934). John Lawrence Hammond died in 1949.